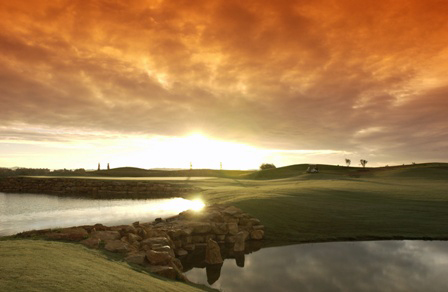 Vilamoura is famous for its golf courses - and rightly so, with 6 magnificient courses to choose from. Our apartment is ideally situated for golfers, being less than 5 minutes to any of the 6 courses! 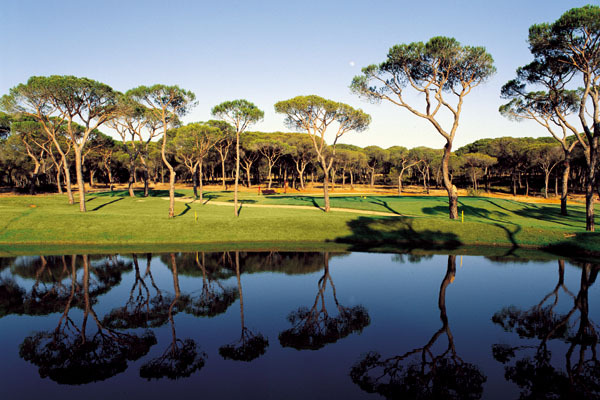 The Old Course in Vilamoura, set amongst a pine wood and arranged so as to make full use of the natural contours of the area has to be one of the best known golf courses in the Algarve. The International golf course itself was originally designed by Frank Pennink in the style of a classic English course and would certainly be a real treat for any golfing enthusiast. 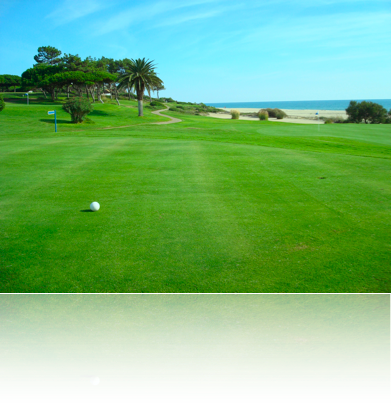 Vilamoura's International Pinhal Golf course is set back from the main tourist beach area. This course also runs through the typical pine woods of the Algarve region. However it's more open fairways and smaller greens create a very different challenge to that found at the Old Course. 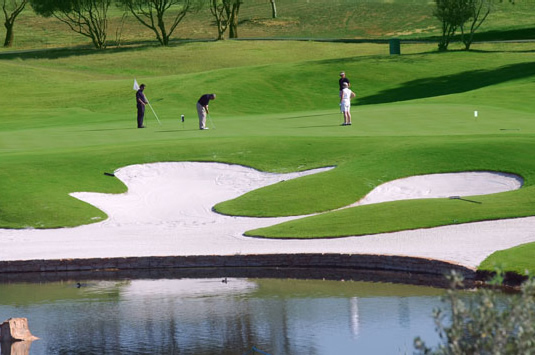 Laguna Golf is a National golf course, which unlike many of it's fellow golf courses in the Algarve region is located on relatively smooth, level and open ground set around a lake. However, although there are fewer obstacles in the form of trees on this course, its modern design and the strategic placement of water hazards and bunkers still demands a high level of accuracy from its players. 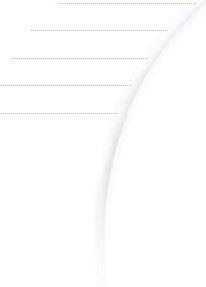 Millenium Golf, as its name suggests, opened in the year 2000. The terrain of this course is partially open, similar to the adjacent Laguna course, however the remainder of the fairways are of the narrow variety as they wend their way through pine trees. This course is the most recently opened of the Algarve golf courses and is currently the longest 18 hole golf course in Portugal. The course is laid out on fairly flat terrain, interspersed with many small lakes and waterfall features. At least five tees are available at each hole, making the course ideal for golfers of all handicap levels. 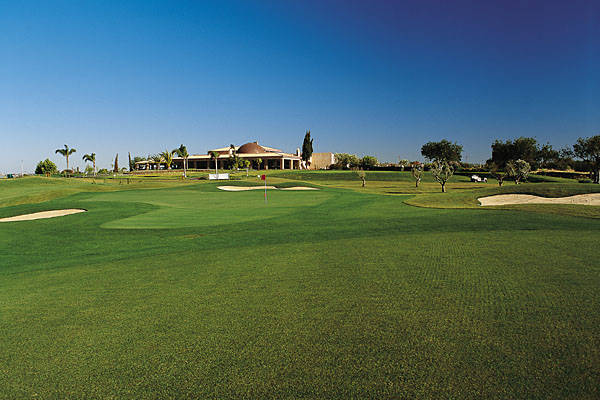 Vila Sol golf course has a reputation as one of the best kept courses in the Algarve. It has been recently extended to 27 holes, each of which maintains the original nature of the undulating terrain.